For years now, educators, business leaders, and even politicians have begun to realize that today’s students aren’t learning enough higher mathematics. The need for civil engineers, for instance, is expected to grow by 20 percent by 2022. Here are just a few reasons for learning advanced math skills. Advanced math usually refers to complex fields such as trigonometry, calculus, or algebraic number theory. 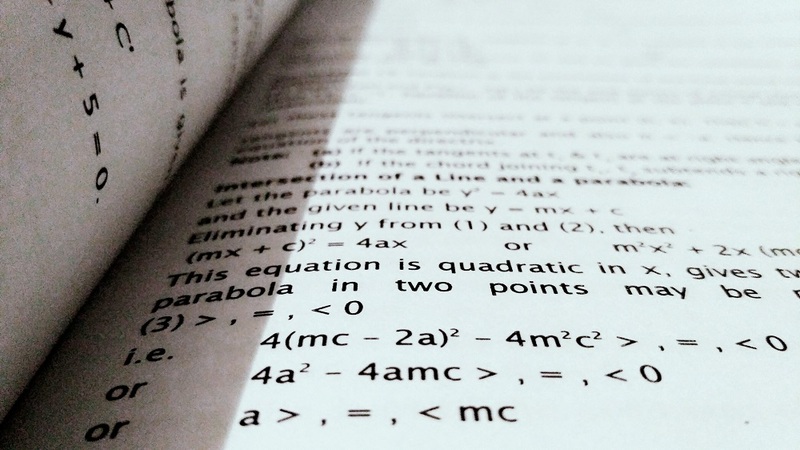 It’s true that you can get into a decent college or a good job without studying these, but advanced math puts you a step ahead of other applicants. If you’ve mastered calculus, for instance, you’ll be more impressive than a candidate who never made it past basic algebra. It tells recruiters in an instant that you’re an intelligent, focused person who can apply complicated logic to explain patterns, perfect methods, and find solutions. Mathematics essentially came about as a way to solve problems and is still an evolving technique for doing so. Every tangible, real-world concept or quantity can be expressed or assessed through math. Whether it’s tracking pollution or putting a satellite into orbit, understanding mathematical principles is essential. No matter what the problem is, it will involve measurements, theories, and proof by the numbers. In our high-tech world, an understanding of higher math is crucial to success in many fields. Learning advanced math early is important to finding the right college and career. Engineers, for instance rely on calculus to optimize safety and efficiency in everything from traffic flow to jet planes. At-school or online programs from Ohio University, for example, prepare you for specific engineering specialties. As demand for such jobs continues to increase, they become both more lucrative and more secure careers. In the past, mathematics was taught and used on paper or blackboards in universally recognized symbols and numbers. Today, however, very few people bother with written calculations when we have computers and smart phones. It seems that in almost any industry, you can find an app for certain mathematical functions. The reality is that someone has to develop the formulas and write the apps. Moreover, you as the end user have to be able to appreciate which app is right for which job, and why. Learning math beyond basic competency seems like a low priority for most of today’s young students. It should be clear that in our technical society advanced mathematics is a vital part of your future. Hannah Whittenly is a freelance writer and mother of two from Sacramento, CA. She enjoys kayaking and reading books by the lake. You can follow her on twitter and LinkedIn.